New. Trade paperback (US). Glued binding. 512 p. Contains: Illustrations. 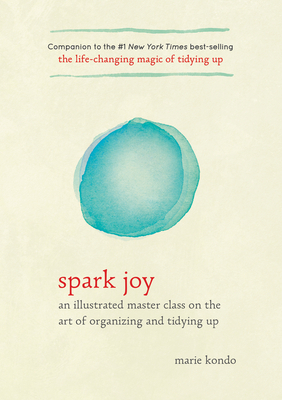 Life Changing Magic of Tidying Up. Acceptable. EDGES ARE WORN *Acceptable condition: -Used books can include heavy writing, highlighting, underlining, marking, or notes. Exterior may have moderate to heavy signs of wear from use or shelving (worn corners, creases, scratches, etc). Cover may be different than listing and may have sticker / sticker residue. May have binding wear / separation. May have Water Stains and / or Damage. All pages appear to be readable. Some pages may have folded / creased corner(s). May not have functioning accessories like CDs or access codes. May have stains on inner pages and / or outer edge of pages. ***NOT REFUNDABLE FOR FULL ITEM PRICE-if the item includes sealed accessories; IE, CD / DVD or an access code, and the seal has been broken / scratched*** Hardcover Used-Acceptable.